Our next musical production will be the timeless, ever-popular Oliver! Our 2019 Pantomime was be the wonderful, magical Aladdin. A fresh look at the traditional with up to date music and comedy. The 2018 musical Hairspray was an amazing success. Our talented cast produced the most infectious energy that spilled out to our audience each night. Our 2018 annual family pantomime was Babes in the Wood. Dame Penelope and Muddles were successfull in their adventures with Maid Marion and Robin Hood to rescue the babes from a fate worse than the Sheriff of Nottingham. Our 2017 musical was the popular My Fair Lady. Based on George Bernard Shaw's classic play Pygmalion, tells the familiar story of Eliza Doolittle, a Covent Garden flower seller who, inspired by phonetician Henry Higgins’ public boast that he could change her social status by teaching her how to speak correctly, turns up at his door asking for lessons in order to fulfil her dream of working in a flower shop. However, Eliza eventually succeeds so well that she outgrows her lowly ambitions, and manages to become an indispensable part of Higgins' life. Previously only available to school groups, we were one of the first groups to be performing the full adult version of this musical in October 2016, including all your favourite songs from the Movie! The musical is set in 1959 at fictional Rydell High School and follows ten working-class teenagers as they navigate the complexities of peer pressure, politics, personal core values, and love. Based on the hit 80s movie (which launched the careers of Kevin Bacon, Sarah Jessica Parker and Jon Lithgow), FOOTLOOSE has become a stage musical phenomenon. From Broadway to the West End and touring across the UK, and now here in Keighley, there is just no stopping the music. We are delighted to be bringing the wonderful English musical Oliver! to you this year. 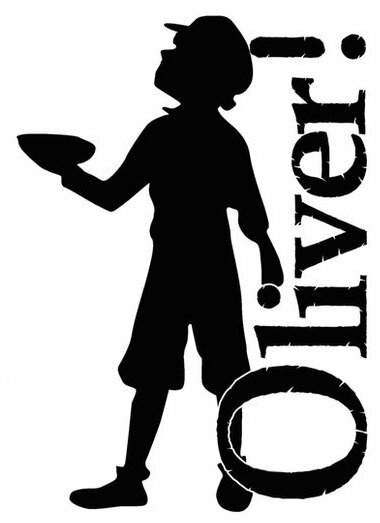 This year KMTC bring you the timeless musical based on the novel Oliver Twist by Charles Dickens. We will take you back to the streets of Victorian England to meet orphan boy Oliver. After the starving child dares to ask for “More!” food, he is sold to an undertaker. Also neglected here, he escapes to London where he “Considers himself at home” with a gang of pickpockets and thieves. Oliver, captured for looking guilty, is taken in by Mr Brownlow, and at last finds a place that feels like home. However, this makes Fagin and his band of pickpockets uncomfortable, and they plan to get Oliver back on the streets. We have a wonderful and very talented cast lined up for you.